It’s so hard to find a tasty and healthy snack on the African savanna! 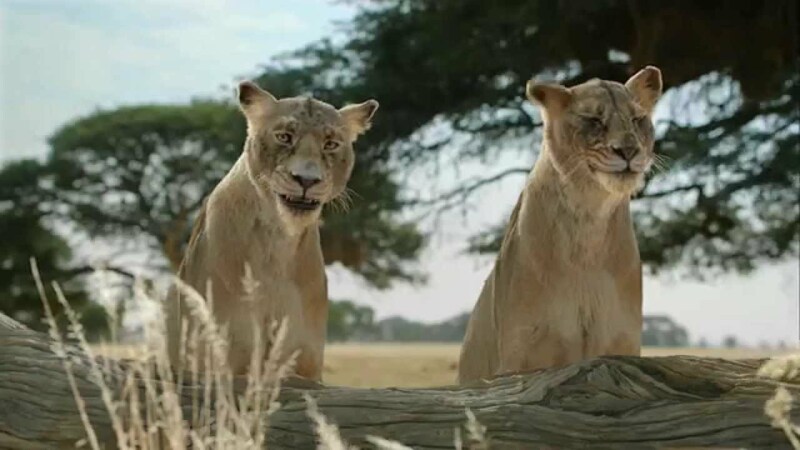 Two lionesses in a Fiber One commercial would kill for something sweet, and are considering the available offerings. – – Flamingos? – – Nah, they’d have to eat about thirty of them. One offers to split a hippopotamus with the other; too fat, also unacceptable. The hippo appears to harrumph in surprise or indignation. This entry was posted on September 20, 2015 at 10:40 pm and is filed under animals, anthropomorphic, furry, furry commercials, television. You can subscribe via RSS 2.0 feed to this post's comments. I like the one about the two debutante monkeys from Beverly Hills. One of whom has a penguin butler offering them chocolate-covered frozen banana bars!